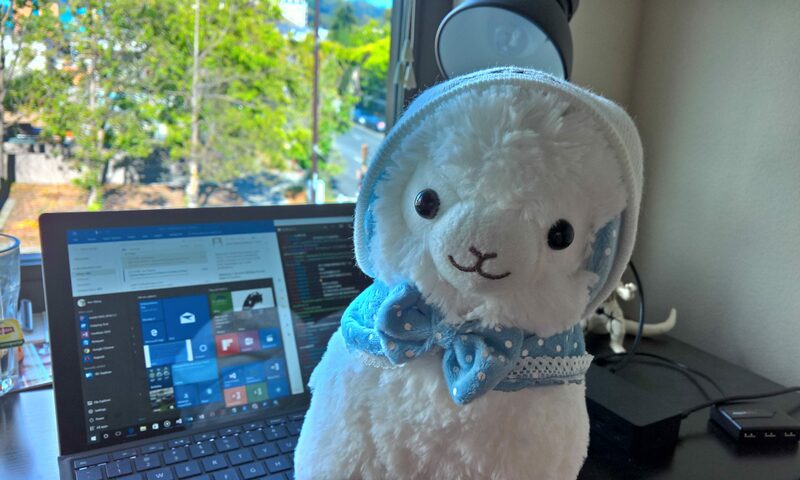 Previously my openconnect server deployment plan utilizes PAM authentication (via Kerberos/Active Directory) as the primary authentication method. It works but it’s complicated (password every time). I just enabled certificate authentication today and it worked fine. 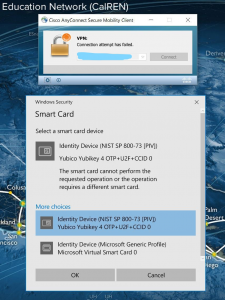 I provisioned the same certificate in my Yubikey PIV and TPM-based virtual smartcard, but neither works for AnyConnect client. Certificate in user certificate store is fine. This article is adapted from https://www.v2ex.com/t/180070 and http://hjc.im/shi-yong-strongswanda-jian-ipsecikev2-vpn/. The major difference is ShadowVPN is replaced by StrongSwan IPsec VPN in this article. Upgrade your staging/production environment to the latest version. Make sure all security patches are installed. Make sure you have packages libpam0g-dev libssl-dev make gcc installed. We have to specify routing table’s priority on client server(not IPsec Access Server) since we wants to specify routing table manually: –with-routing-table-prio=32800. Also, TAP/TUN device is enabled instead of StrongSwan’s own kernel module. It will simplify the configuration later. Then make and install it. Just a reminder, if you have any issues about IP range, please refer to the demo topology graph. The image is unavailable right now for some reason. I’ll fix it ASAP. : PSK "<IPsec PRE SHARED KEY, PLEASE REMEMBER TO REPLACE IT WITH YOU OWN KEY>"
s2s : XAUTH "<ANY PASSWORD YOU WANT, PLEASE REMEMBER TO REPLACE IT WITH YOU OWN PASSWORD>"
Turn on IPv4 forwarding in sysctl.conf. Edit iptables. The following configuration is for Ubuntu 14.04 LTS. For other Linux distro, check out its documentation. Suppose you have the correct StrongSwan with TAP/TUN and routing table priority installed. Go to /usr/local/etc, edit ipsec.secrets, just put what you have in the previous step. On your IPsec VPN server, type sudo ipsec start . It should get connected shortly. Go to ifconfig and you should find a new network adapter called ipsec0. Create a new routing table. Get the routing configuration in table 220 (IPsec table). Compose a shell script if you want to compelte that automatically for every reconnection. We implemented a simple line optimization using rule-based routing in this example. For application-based service, you are all set and ready to go. For VPN access services, configuration for iptables is needed in order to tag data packets and route them correctly. Check out this article for more details. I didn’t offer a auto routing script in this example. I strongly recommend you to write it since it saves your time by configuring routing table automatically. For multiple IPsec connections and routings, just specify the source IP, which is 100.11.2.1 and 100.21.2.1 in routing tables. They use the same adapter.